 Arcis Modz had the most liked content! hey guys, its been a month since my last post. sorry for that. i was so busy on the biggest event here in PH. a small update for this build. thank you sir. UPDATE INCOMING............ Hi guys. its been awhile since my last post. Custom Bay Res in the making. Guess what is this for??? Top panel cutting. Finally, time for an update. prepin the acrylic cut by scrollsaw next update. custom drive bay res. this project is put on hold for 2 weeks. will be back next week. for now, some photos of the current status of this project. did some test fit. this what will the psu and rad will look like under the shroud. back panel. right side panel with the small window and some fittings this what it looks like with the pump. mobo tray and hdd bay was but to give access on the lcs part below the psu shroud... i tried it so many times to put my hands in there and its hard to work in it but.. oh well... for the sake of aesthetic and mod. case modding start.... (tower case, please be good to me. im a virgin in this. LOOL) Last picture of F51 being in "one piece". removing the sound absorbing material and side panel cut..
Hi Guys, Apocalypse is a 15 day mod project. In collaboration with MSI PH, it was used for the Z170 Motherboard product launch here in PH. This is a rush project so please bear with me. Btw, this a handmade mod. no laser cutting was done.